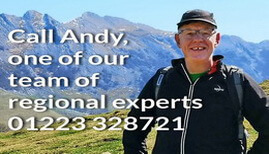 Gastronomy Picos de Europa - holidays with Casas Cantabricas. 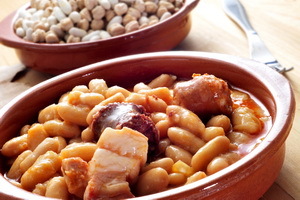 As you might expect from such a mountainous place the Gastronomy in the Picos center around hearty stews like the Cantabrian Pote Liebanés or Cocido Montanés, chickpeas or white beans and a healthy (sometimes too healthy) amount of meat. To help you digest all that try a glass of the local Orujo from the Potes area, said to be among the best in Spain. On the Asturian side the bean stew is called a fabada, usually quite delicious, and the local tipple is cider- and don't miss the great cheeses available throughout the Picos.